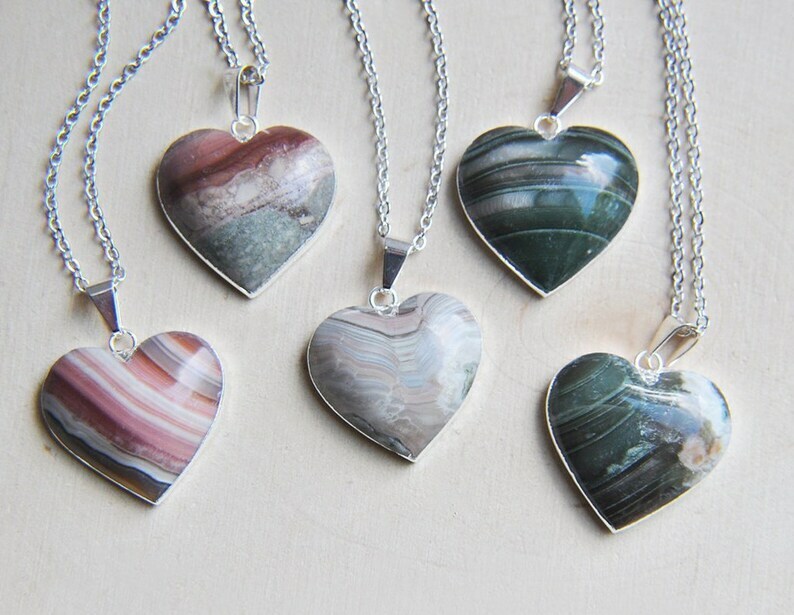 Beautiful multicolored banded jasper stones carved into a heart. The edges are electroplated with silver and suspended from a silver chain at the length of your choice. 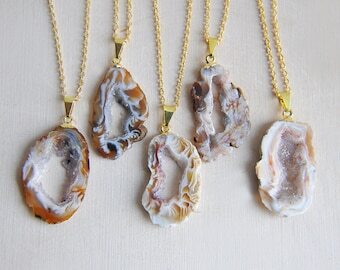 Select which natural jasper stone heart you would like to receive from the drop down menu. All of my jewelry arrives suitably gift wrapped ready for giving.